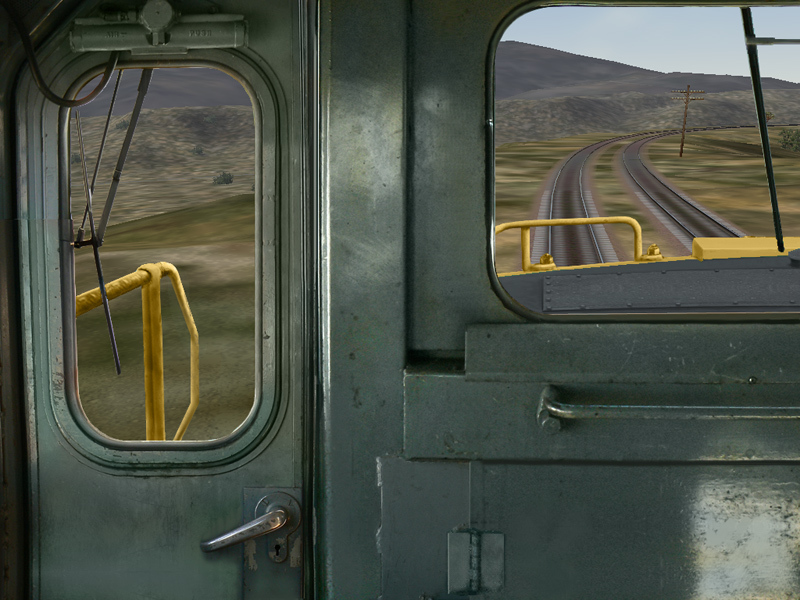 Night cabs & throttle-up sounds require BIN to function. 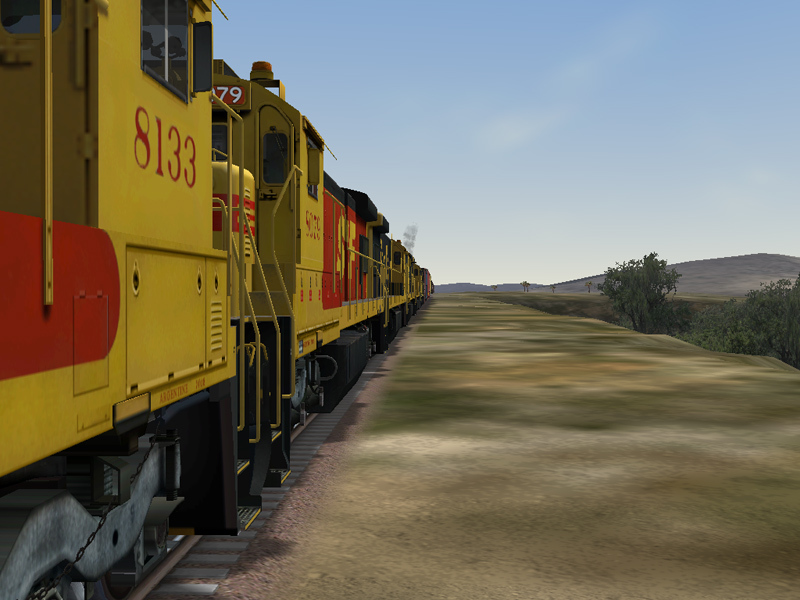 ..can't find BIN? 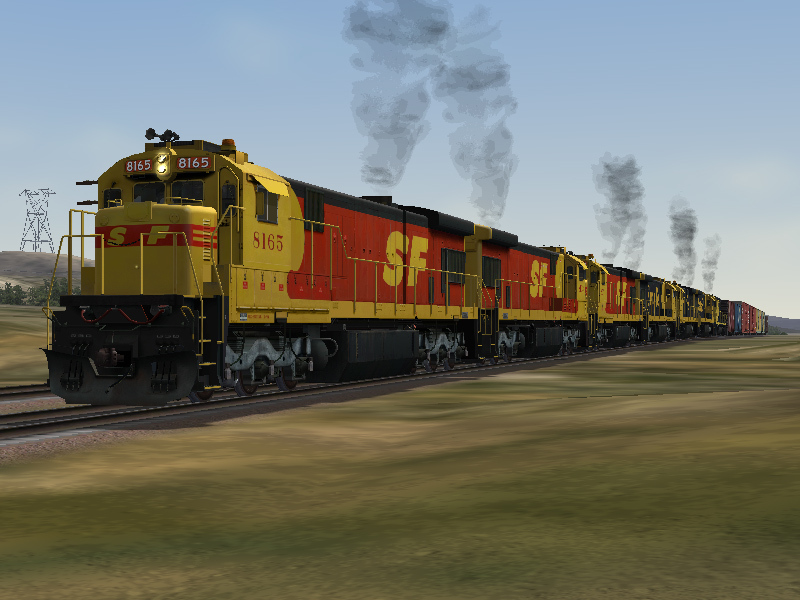 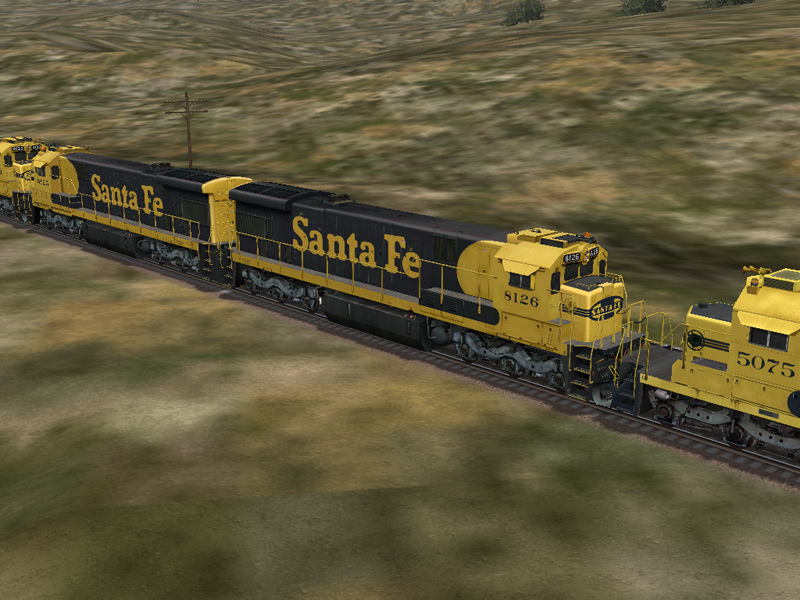 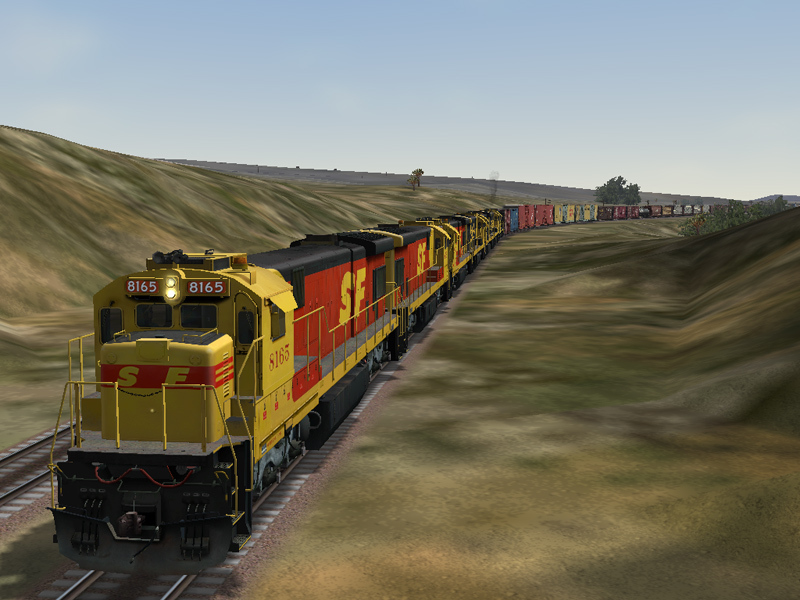 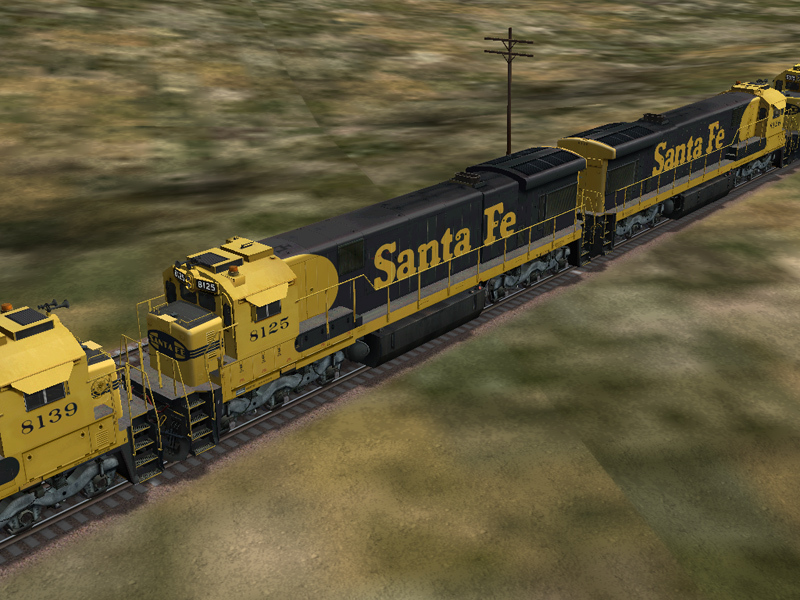 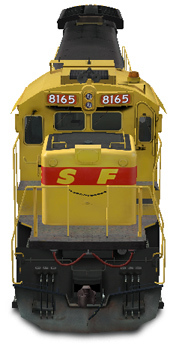 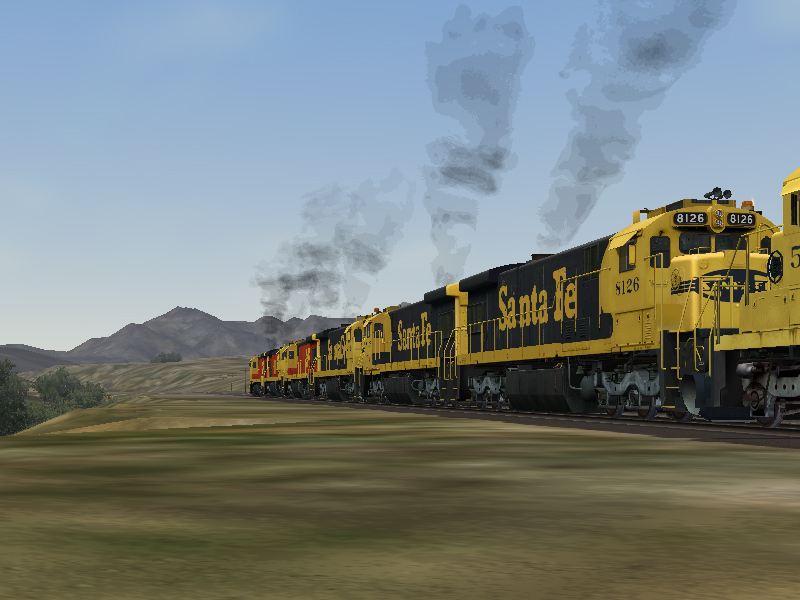 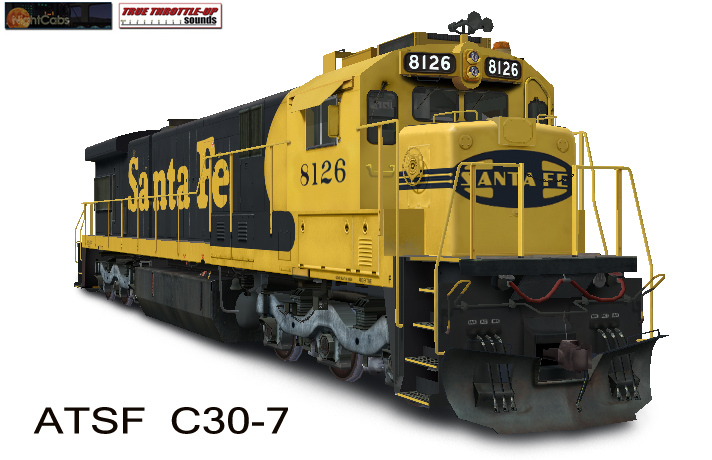 ATSF #8165 leads two more merger painted units and four trailers in freight paint. 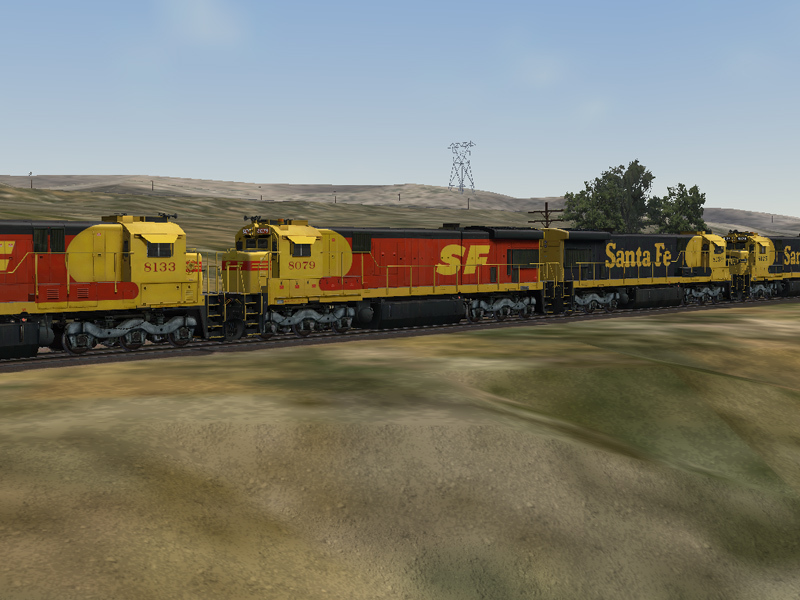 7 six-axle units of traction for the hill. 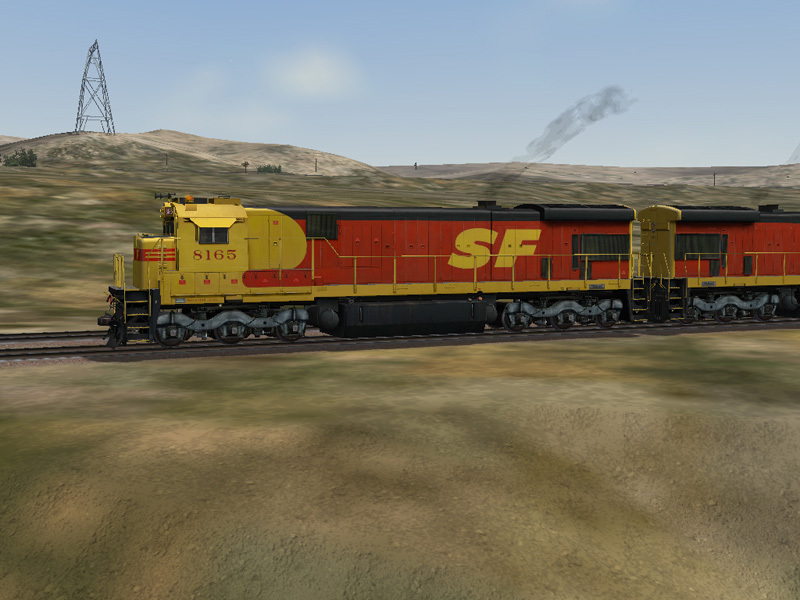 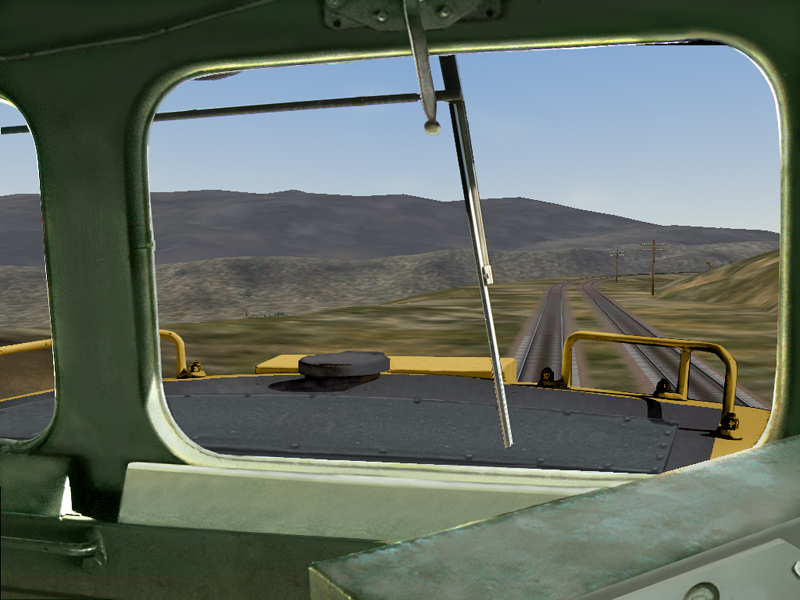 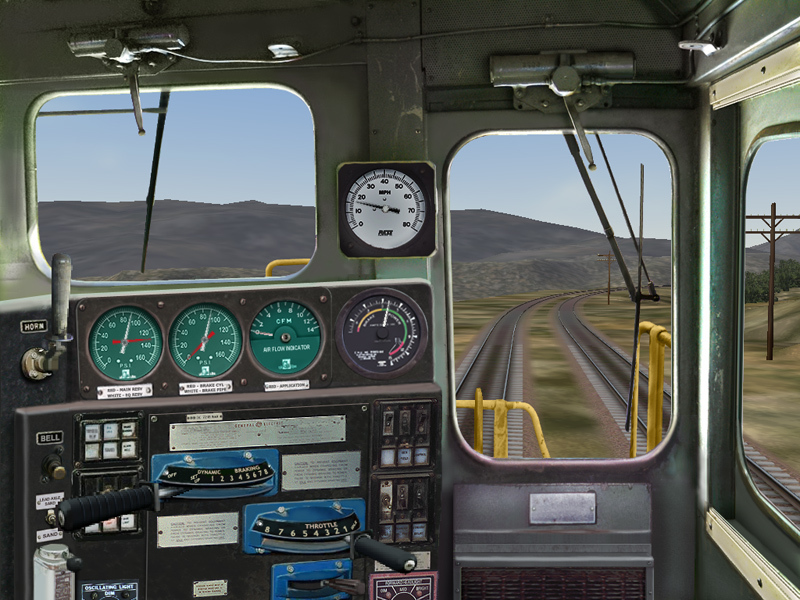 The last trailer is an SD40-2.